I was interested enough to try out the Oracle TCO calculator that I was sent an email about. I can honestly say it has rather confused me in what it is comparing and how the results are calculated. I put a dummy company name in and my country – bizarrely it does not auto select the currency. I then hit enter and waited and waited as I had to with every screenshot I show. I must admit that trying this a few times performance was sometimes acceptable but when it was slow it was very slow. I then get the fantastic news that moving to the Cloud could save me £403K over 3 years. I had my credit card out and was ready to sign-up. Firstly we have gone from using 12Tb storage to only 4Tb, although interestingly the 4Tb in the Cloud costs not far short of the on-premise 12Tb. We have also reduced from 24 cores to only 8 cores. Perhaps Oracle could just come on-site and sprinkle the magic dust that shrinks data and reduces processing requirements and we wouldn’t need to move to the Cloud. Each of the lines on the diagram can be viewed in more detail and adjustments made. The network component shows that there is zero cost for running in the Cloud but I assume that data will have to be loaded into the database via some form of network load. Overall as a calculator it is well laid out but I found the like for like comparisons to be rather not like for like. I have had this in my draft posts for a couple of weeks and I refrained from publishing because it was too simple. However the main purpose of this post is to help others save time by providing useful information. The secondary purpose of to remind myself how I overcame whatever problem is being covered. A user did not have permissions to edit the tnsnames.ora file on a server so I created the database link for him to use the connect description, thereby circumventing the need for an update to the tnsnames.ora file. I prefer database links to be named to show the database they connect to, however in this case they wanted a standard name which is used in code and can be used across all the environments. This is an oddity as essentially I have an index on a table but I cannot rebuild it because it suggests the block size should be bigger than 8K – however both the database and tablespace block size are 16K already. See MOSC Note 136158.1 and MOSC Note 236329.1 for more details on the ORA-01450 error and key length. 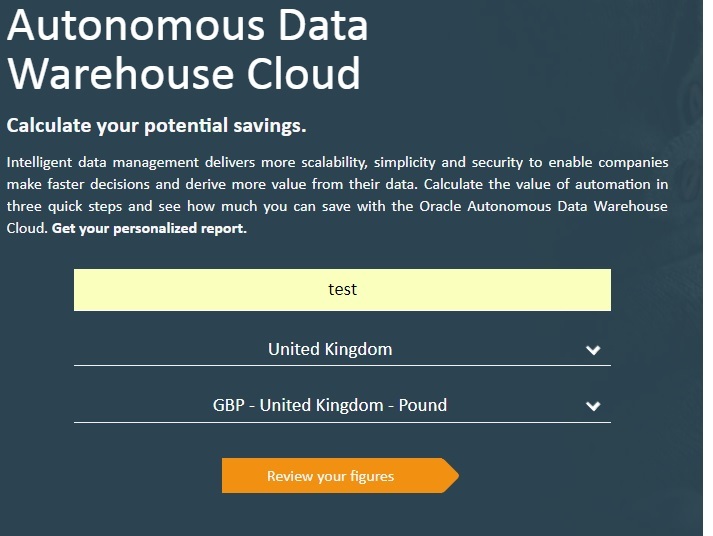 Lots of interesting work going including 85Tb Data Warehouse on Exadata and developing Cloud capability using AWS and Google. Lots of good information there including which node is hosting the MRP process and also the apply rate. In our case that is normally between 150 and 400 MB per second. It is not often that I see a database downgrade activity performed and so I thought it would be worthwhile just noting how it was done. 2 node RAC 11.2.0.4 database to 11.2.0.3, downgraded the database only and not the grid home. Downgrade taking place on HP-UX, any downgrades taking place on Windows OS have several additional steps and won’t be covered in this post. Assume all commands are being run on node 1, any commands that need to be run on node 2 will be explicitly stated. Any commands will be formatted in italics. Set ORACLE_HOME to current 11.2.0.4 environment. Monitor the alert logs to confirm when database has successfully shutdown. This script can be run multiple times, in the event any errors are encountered correct them and rerun until completion. Execute these steps on both nodes. Ensure any entries in your oratab file are also altered to reference the downgraded directory. Copy password files and config files from current ORACLE_HOME to downgraded directory.